I am currently coaching my childhood friend X; someone whom I know for many years. He was from a training background with a large insurance company for past 27 years. He has just left the industry and is now looking into transiting a new career of which he is still exploring. He is married and has 3 children; one into the second year of university and two teenagers aged 15 and 14 respectively. In my second session with him, he has revealed the issue of family harmony bothering him and with the transitioning of what he wants to do in his career, this is beginning to take a toil on his well-being. For the past two weeks, there appears strife and unhappiness between him and his wife; the eldest son has suddenly told him “I do not really know my mum.” Relationship at home is cold with angry words and hurtful emotions being displayed .This is clearly upsetting my client to say the least. X’s problem is he seems a “sitting duck” to the problem he has with relationships at home and forced to settle for whatever will come his way. He is reactive to issues and not being proactive and loses control of his family life. The specific topic for today’s coach session, has been festering for about month and symptoms and signs were clearly showing. What is the worst thing about the problem? The biggest detriment is that it causes communication and love in the family to come to a stand- still and worst of all, there is a breed of distrust and suspicions in the home. My client X, being a prominent trainer in the industry and head of his household feels that this is personal and would be shameful to tell others that he has somewhat lost control over his family and hence the perception that he is losing it in the professional career sense as well. I took the opportunity to thank him for his trust in me to bring up an issue that is so sensitive to him and gave him assurance that this coaching conversation will stay private and confidential. With active listening and subsequent follow up with questioning, we manage to explore the subject matter of creating awareness. By asking the “what” and “how” questions, the curiosity factor of what is happening in his family begins to surface. 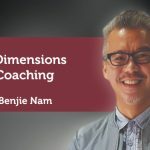 Specifically, I asked my client X what is his level of awareness of himself in the family and that he observed about his pattern in everyday life at home (thoughts, feelings words and action). He told me at best a scale of 3/10. He told me that these years being the sole bread winner in the home, he has honestly not spent as much time as he would to think about this. However, he was able to self -discover during our coaching session that as the head of his family he has to be self -aware of this and will now want to make a greater effort if it helps to bring his family harmony back. We discussed about the benefits of self -awareness and taking stock of himself is the initial step to solving the problem he has. Through probing, we managed to identify that recognising his feelings as it occurs while relating to members of his family, understanding how it impacts them and most importantly, the implications for his well -being as a person, husband and father will go a long way to achieve the outcome of our coaching session. Another discovery my client made was that the subject of self -awareness is not limited to himself but that the entire family should be involved and that he has volunteered to take the lead. He came to the conclusion that if everyone in the home is more self-aware of one another, the overall impact would be overall self-awareness in the family will be raised and his problem will be resolved. It was here that I sensitively raised the issue of commitment and asked him how would he like to proceed from here and he gladly shared that he would raise this up with his family members and tell them he is on self-discovery mode and hope that they will do the same so that he can learn to care, commit and help to build them up. I congratulated him on this brave decision and told him I will support him in this endeavour. At this juncture, I asked my client if there is no obstacle to doing this what would the outcome and how he would able to visualize it. He was deliberatively and with a smile on his face, gave me a thumbs up and said very certain this will work out. The initial underlying belief of what if the members would not agree to this approach was briefly floated up in view of the current difficulties in communication at home. However, my client was quick to point out that the family always respect his initiatives especially if it is done for the good of the family. He was glad this was brought up openly as it now gives him greater confidence that this will work for him. 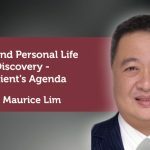 I then asked my client how would like to proceed with this new found discovery to greater harmony at home? As his coach, I maintained objectivity and tried not to mention any tools I know as not to influence or swing from the approach he would like to take as I am constantly reminded it is his agenda not mine. It is here that he asked me for my recommendation. 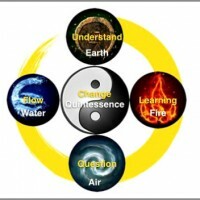 Specifically, on something scientific and objective to know about one’s unique combination of talents, knowledge and skills or strengths that he can use in his daily life to successfully achieve goals and interact with others. I find that creating trust is very important in this case and I have his interest as my top priority. 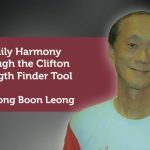 It is then that I told him of the Clifton strength finder and how I have learnt about my own strength themes and that he might like to try it for himself and his entire family. I took the opportunity to administer the tests for the family and explained the terms, definitions to him. We discussed the action steps needed to put his family harmony strategy into place and how he can get his family members to analyse their own top strengths and asked the question of ”How can I improve on my strengths to make my family a happier one?” We agreed on this accountability and we shall meet again to discuss the progress in a fortnight’s time. Specifically, the measurement of the outcome that family harmony was very clear and results very encouraging. Through knowing their strengths themes, my client and family members now know their strengths (Know who they are) and why they behave thus. My client X has even gone one step further in his personal development. 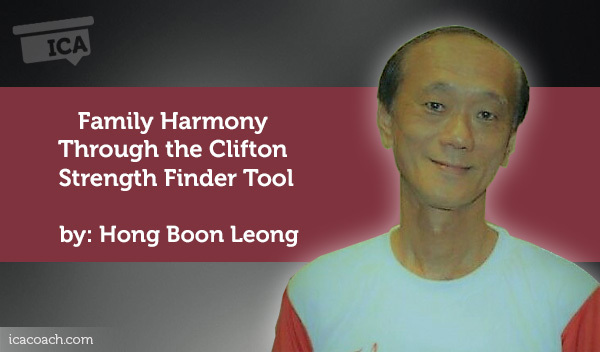 He has summarised his findings using the strength finder tool with me. Trust and rapport with client is very important. My client opened up to me and I know chemistry plays a great part in a coaching session. I allowed space for my client to think and clear his mind about his issues and not jumped to conclusions especially in a sensitive issue like family.